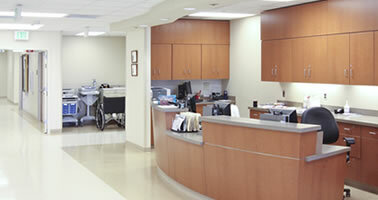 modular, permanent and relocatable healthcare buildings. 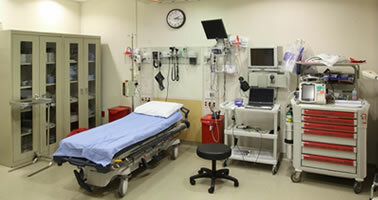 medical facility or healthcare building solution. Ramtech's three different building systems for modular healthcare construction provides healthcare companies with a choice in meeting the technical and design requirements for a variety of medical facilities and healthcare spaces. Whether you need a fully relocatable building solution or a permanent facility, all of Ramtech's building approaches provide for faster construction timelines, lower overall costs, and flexible feature-rich medical building solutions. As a vertically integrated design-build construction company, Ramtech is able to bring our flexible affordable permanent modular healthcare construction solutions to healthcare providers in remote, rural, and urban areas. Over the years we have developed a large selection of standard and customizable floor plans for you to choose from, in addition to our ability design and develop new facilities or additions to existing structures. Whichever you choose, Ramtech guarantees that you'll get a building that will meet your specific requirements, time frame, and budget. As a vertically integrated construction company, Ramtech is able to bring our flexible and affordable permanent modular construction solutions to healthcare providers in remote, rural, or urban areas. Over the years we have developed a large selection of standard and customizable floor plans for you to choose from in addition to our ability to design new facilities to existing structures. Whichever you choose, Ramtech guarantees that you get a building that will meet your specific design, time frame, and budget requirements. At Ramtech we have over three decades of experience in working with complex government regulatory requirements for all types and sizes of modular medical facilities. Whether you're looking for a single practitioner modular medical clinic for a rural area, or a large medical office addition in an urban environment, we are uniquely qualified in providing our customers with a true single-source design-build modular healthcare construction experience. Project video narrated by Penny Gray, former Administrator of Limestone Medical Center in Groesbeck, Texas. This video was recorded in the lobby area of this 12,000 square foot family medical clinic built using our prefabricated Slab-on-Grade Permanent Modular Construction method. Ramtech provided full construction services including the site development. 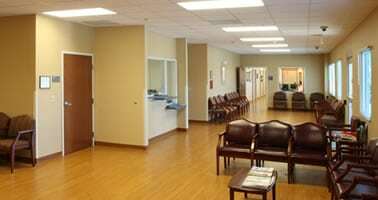 The clinic was part of a complete redevelopment of the healthcare centers' campus and was designed to match the exterior of the replacement hospital. The $2.1 million dollar rural modular health clinic accommodates seven physicians and an optometrist and includes a total of 20 exam rooms, 4 procedure rooms, and medical records area. Ramtech designed and constructed the building modules utilizing its Slab-on-Grade Permanent Modular Construction and provided full construction services including the development of a multi-acre site and installation of the modules comprising this 10,000 square foot medical office building in Greenville, Texas. The facility and site was designed as the anchor building in a planned medical office park. This fast-track project required the use of modular construction to meet a critical need for medical office space. Ramtech partnered with a project management firm and Houston-based Vaughn Construction to design and develop this urgent care clinic for St. Joseph Health System in College Station, Texas. Originally conceived as a traditional modular construction project, Ramtech lobbied the team members to use the Slab-on-Grade Permanent Modular Construction to meet the projects schedule and design requirements. Measuring 7,200 square feet, the two-doctor facility features five exam rooms, four treatment rooms, triage area, large nurses station, two doctors offices, x-ray, lab, and multiple storage areas. Ramtech provided full design-build services for the development and construction of this 8,500 square foot addition to the existing community-based outpatient clinic in Myrtle Beach, South Carolina. Because the original contractor was removed from the project for non-performance, Ramtech employed its Slab-on-Grade Permanent Modular Construction to meet an expedited construction timeline. Located within two miles of the coast, the facility provided challenges to meet the foundation requirements due to a very shallow water table. Ramtech provides the healthcare industry with an experienced design-build solution for hospitals, health clinics, urgent care centers, physician groups and other types of healthcare providers. If you are searching for an experienced partner that understands the relationship between medical requirements and building construction, contact Ramtech today and let us save you on construction costs while building your solution faster and with the customization you need.